The Beatles 50 Years Ago Today: March 11, 1968. Beatles Radio: The Beatles, Solos, Covers, Birthdays, News The Fab 4 and More! Issued on March 11, 1968. , one week before the US and UK pressings. 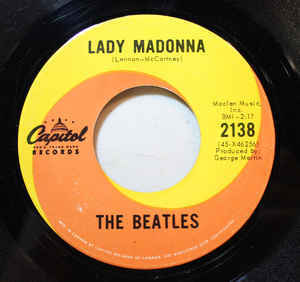 The single was pressed simultaneously by both Compo and RCA plants, but there is about 7 or 8 Compo copies for every RCA copy. RCA copies are therefore rarer.